General TV Channel / ABC Color is a major Paraguayan newspaper with offices in the city of Asunción. The editorial that publishes the newspaper (Azeta) was founded August 8, 1967. It is one of the most widely read daily newspapers in Paraguay. The director of the editorial is Aldo Zuccolillo, the founder of the newspaper. In its formative years, ABC Color supported Stroessner's autocratic regime. During the founding event of the newspaper, Zuccolillo declared this is "a great newspaper serving a great government". 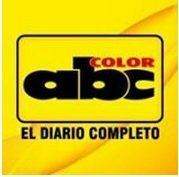 However, in the late 1970s and during the 1980s, ABC Color took a more critical position, which caused the forced suspension of the newspaper from 1984 until the end of Stroessner's dictatorship, in 1989.